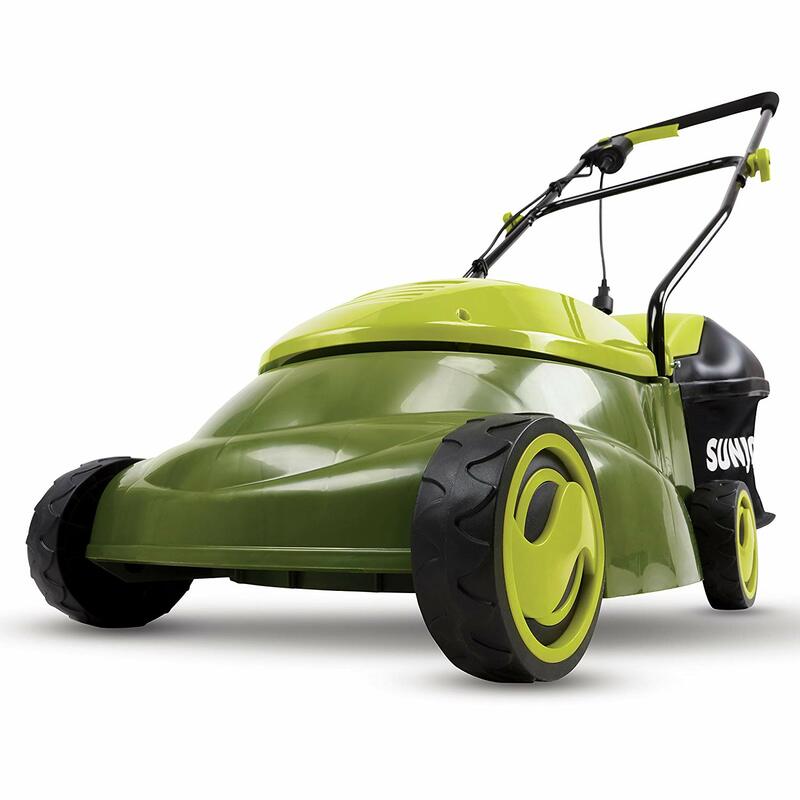 We looked at the top 1 Lawn Mowers and dug through the reviews from 2 of the most popular review sites including New York Times Wirecutter, Consumer Reports and more. Through this analysis, we've determined the best Lawn Mower you should buy. 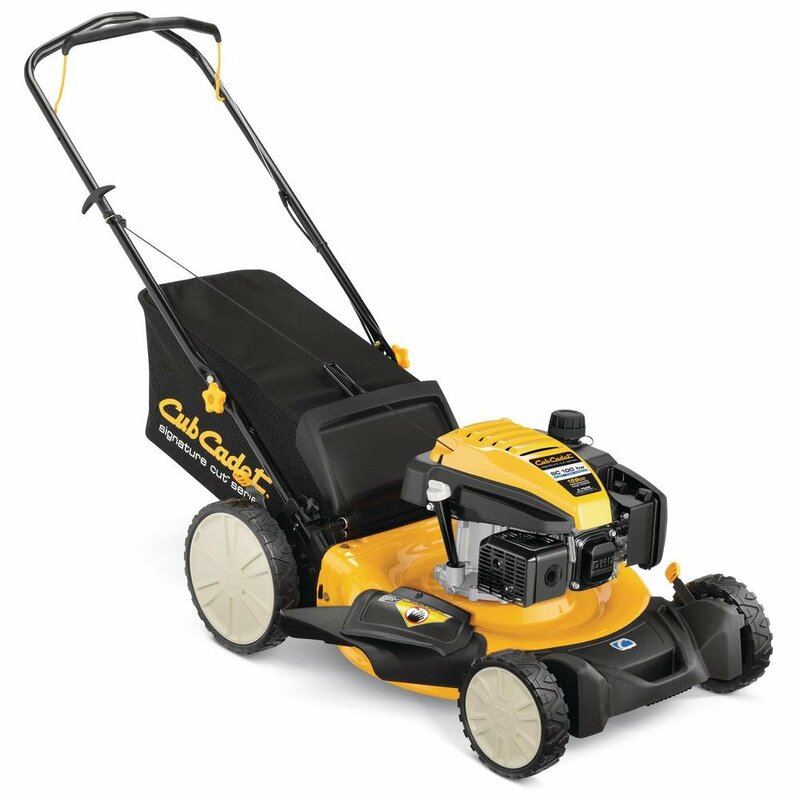 In our analysis of 48 expert reviews, the Cub Cadet Cub Cadet Gas Push Mower placed 5th when we looked at the top 10 products in the category. For the full ranking, see below. 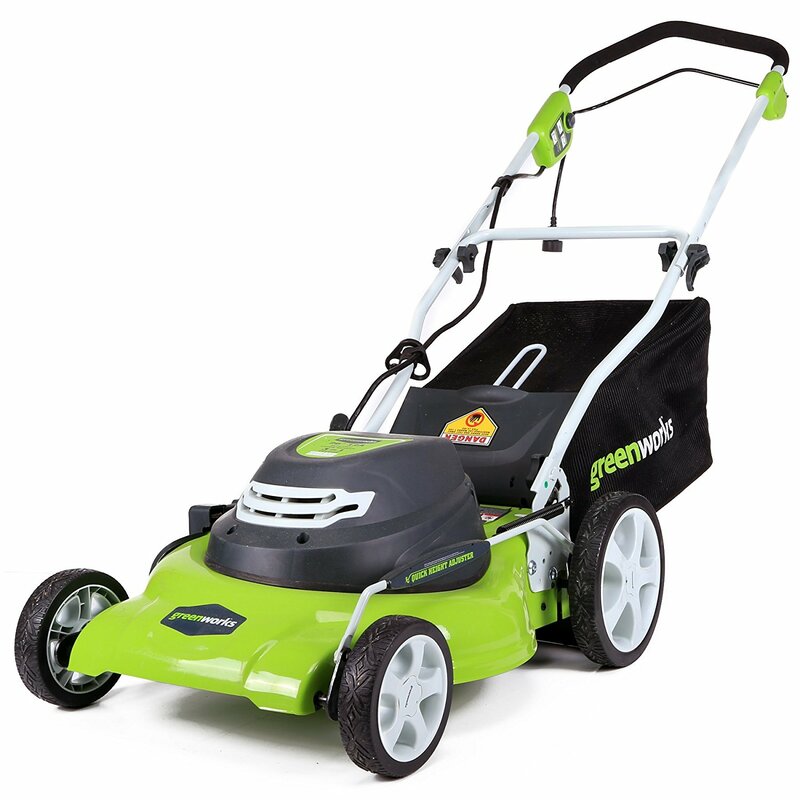 Checkout The Best Lawn Mower for a detailed review of all the top lawn mowers. The site liked it for its mulching ability, easy handling, premium engine, and washout port. Mulched impressively, producing fine clippings without leaving clumps. This is just a walk-behind mower without a drive system on the wheels. So with no self-propelling feature, the machine moves only with someone pushing it from behind. Did not completely fill bag. Mowing the lawn: It’s one of the dubious joys of home ownership. Depending on where you live, what type of lawn you have and what time of year it is, you might have to cut your grass as often as twice a week. So it’s important to pick a lawnmower that will not only last, but also makes the job as painless as possible. Luckily, lawn care technology has come a long way, even for the old reliable walk-behind mower. While the power source may vary these days, the principle is the same: a rotating blade attached to a motor, encased in a wheeled, low-lying frame. 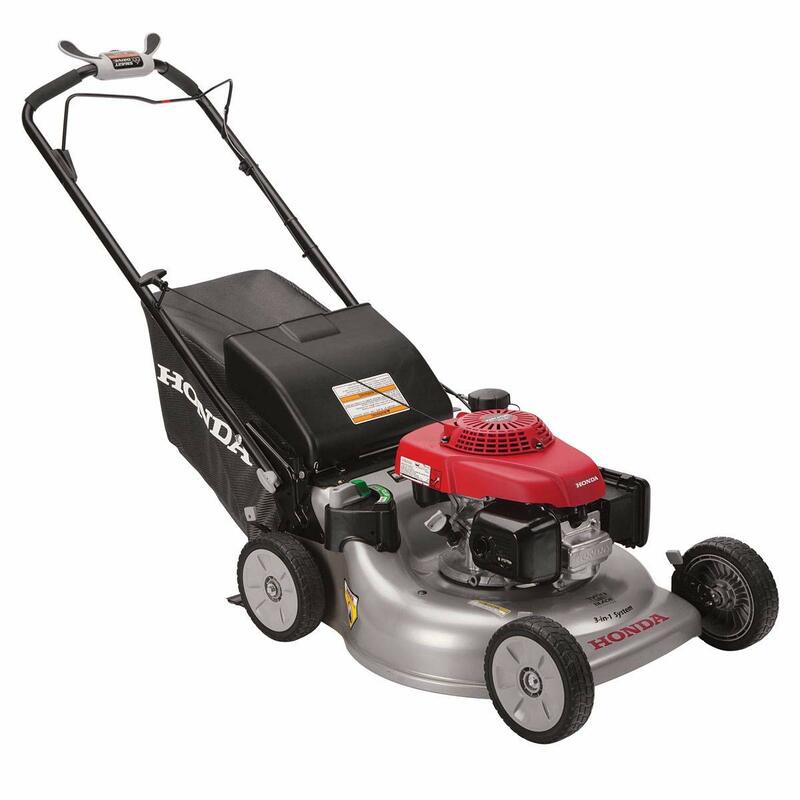 Models like the Honda Self-Propelled Gas Mower use a gasoline engine, fueled by regular unleaded gas in most cases. To start it, just give a sharp yank on a pull cord. Keep hold of the throttle and off you go, with the help of a propulsion system that turns the wheels at walking speed and saves you from having to push the mower around. Then there are fully electric mowers. Technically, they’ve been around for decades, but this type of mower has truly come into its own in the 2010s. Electrics like the Greenworks 12-Amp are powered by a cord, which means you’re tethered to an outlet. Others run on rechargeable batteries, like the EGO Power+. 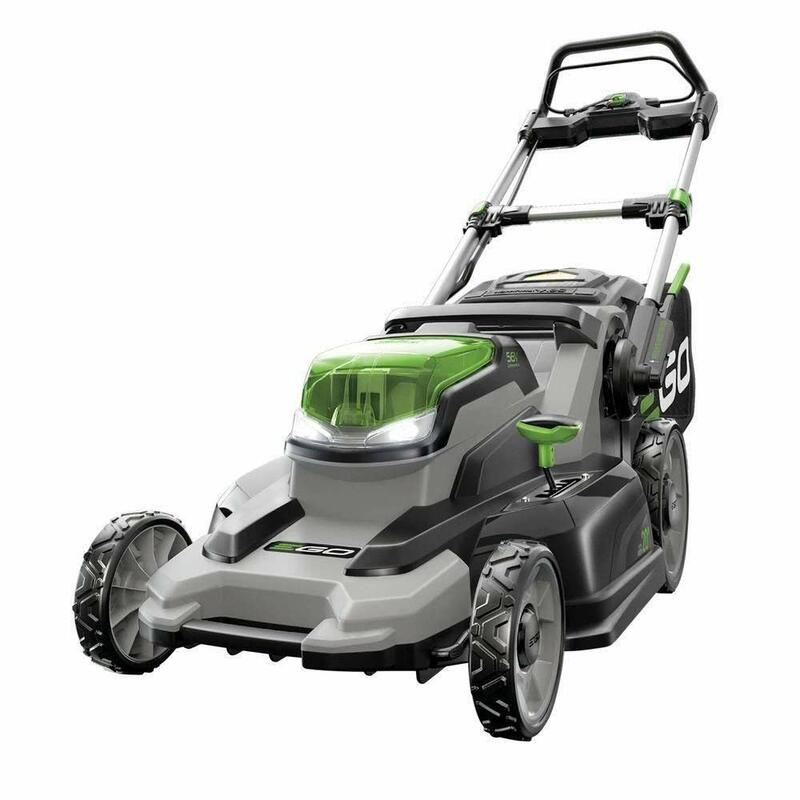 Either way, these models are typically best suited to small-to-medium yards, although pricier battery-powered mowers can sport a surprisingly long operating time. They may even have the option of a removable battery, allowing you to charge one up while the other is running. While most electrics are not self-propelled, the mower itself is typically much lighter and easy to maneuver. And while they are also pricier, you’ll save in the long run by not having to buy gasoline. And where does all that grass go once it’s cut? Generally, mowers have a rear or side bag (or both) designed to catch all that debris, which then must be emptied. A greener option that many mowers have is a mulching setting. In this case, there’s no bag to fill or empty. The mower simply cuts the grass into significantly finer pieces, which then get spread back onto the yard. Not only does this save your back the trouble of emptying the bag, but your lawn will thank you, too. Mulch can act as fertilizer for your grass and also helps it retain the moisture that it loses on hot days. Not to mention, you’ll keep grass out of city landfills, where it makes up a significant chunk of waste. Whether you mulch or not, you’ll want to adjust your mower to fit the job. Most mowers have a height adjustment lever to lift the blade a few inches. Some mowers make the job more difficult than others. You might have to make the adjustment on each wheel individually or just once to lift or lower the entire deck. Needless to say, overgrown yards with thick weeds should be tackled at the highest setting possible. For regular use, a good rule of thumb is to cut no more than one-third the height of your lawn each time. You might be tempted to cut lower (and therefore less often), but grass that’s too short is susceptible to heat damage and creates an environment for weeds to thrive. Too tall, and your grass becomes harder to mow and more inviting to critters like snakes and mice. Of course, the ideal height can vary widely depending on the type of grass you have. For expert pointers, take a sample and ask your local garden center what kind of lawn you have and how to care for it. Finally, safety is always something to keep in mind when dealing with a whirling set of steel blades. Keep small children off the lawn while any mower is in operation, and check the area beforehand for loose objects or thick branches that might cause a jam or create flying shrapnel. A good mower casing will guard against the latter, but it’s not a bad idea to wear goggles just in case. Walk-behind mowers have definitely made strides in safety over the years. One common innovation: a blade-brake clutch, which can instantly cut power to the blades while keeping the motor running. And most models have a “deadman switch” on the throttle that cuts power to the engine if it is released, stopping the mower in case the operator lets go or loses control. In the early 19th century, you had two options if you wanted a nicely trimmed lawn: Pick up a scythe and start whacking or own a bunch of hungry goats. That began to change in 1830 with Edwin Beard Budding’s patent for a “machine for mowing lawns,” consisting of a series of blades around a cylinder — 100% human-powered, of course. For the next few decades, landowners generally attached similar devices to horses and let them carry the load until the first internal combustion mower in 1902. If it’s got an engine, gearheads of any nationality will try to race it. With that in mind, it’s surprising that lawn mower racing didn’t catch on until the establishment of the British Lawn Mower Racing Association in 1973. They, and several similar organizations around the world, still hold rallies today, typically using modified riding mowers. Buying a lawn mower is usually a long-term investment. As such, the choice between gas-powered or electric is a crucial one. 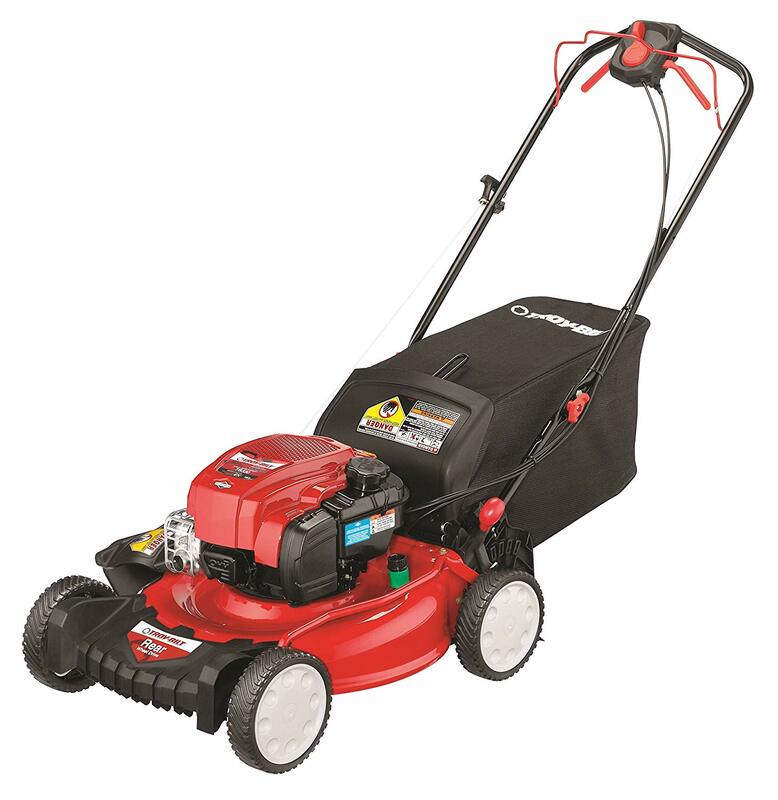 Gas mowers are the budget option, which doesn’t necessarily mean they’re cheaply made. You will have to put more into upkeep though, not to mention the price of fuel. There’s something to be said for the self-propelled feature of most gas mowers, though, and models like the Honda Self-Propelled Gas Mower even have variable speeds. The benefits of electric mowers are many, for which you can expect to pay extra up front. There’s no need for fueling, they’re kinder to the environment and generally much easier to maneuver and store. Check before you buy with battery-powered models, as some will sell the battery separately. The size of your yard is a huge factor in what type of mower to buy. If it’s smaller than a third of an acre, battery-powered mowers or those running on a power cord should be able to tackle the area in one shot. Any bigger than that, and you may want to consider a gas mower or an electric model with a long battery life. While electrics are more nimble, they also tend to have a smaller blade width, which means more walking to cover the same area. When in doubt, check the deck size to give you an idea of how wide a path your mower will cut. To mulch or not to mulch? It’s always good to have a mower that at least gives you the option. Again, a mulching mower will cut the grass into smaller pieces that will be spread onto the grass if the bag is removed. This is great fertilizer for your lawn, and saves you the trouble of dumping it later. Given all that, why wouldn’t you mulch all the time? Well, some might consider the extra coating of cut grass unsightly, especially if it isn’t cut finely enough. This can be especially glaring when cutting wet grass, which has a tendency to clump up. If you can avoid it, try not to cut wet grass at all – but when you do, it might be time to put the bag back on the mower. When do you cut your grass? If it’s early in the morning or during dinnertime, be considerate and factor in the noise. Your neighbors will thank you – or at least not grumble behind your back. Quiet operation is another big plus of most electric models, which usually run 20-30% more silently than their gas counterparts. The motors of some gas mowers can be as loud as 95 decibels – just over the threshold for levels that can contribute to hearing loss. In this case, it might be a good idea to wear earbuds or other protection, even if the neighbors aren’t a concern. Portability is another big factor, and it’s an equal concern when your mower is in operation or sitting idle. 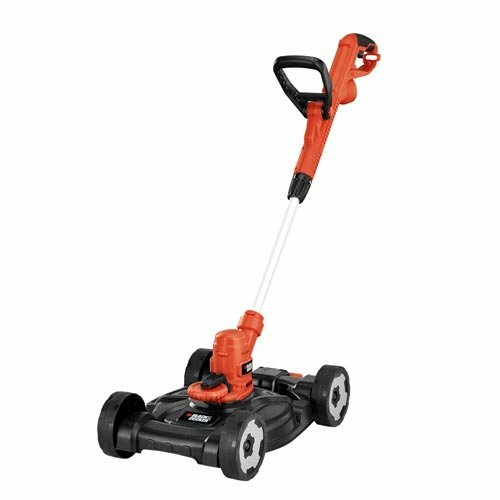 Most electric mowers may not have the self-propelled functionality of gas mowers, but they are significantly lighter, which means you can maneuver them into tighter spaces that gas mowers might be clumsy with. After the work is done, that lightness also means it’s easier to put away. Does your mower fold up? Most do, to varying degrees. Lighter mowers might also be able to be stored on a wall rack, which can be a real space-saver. Want to keep your mower chugging along smoothly? Upkeep is a must, and some models make the process easier than others. For a gasoline-powered mower, you’ll want to make sure that old gas doesn’t sit in the tank for too long. And just like a car, you’ll want to periodically change the oil and check the spark plugs. (Check the owner’s manual for tips on how often this should be done.) Whether it’s a gas or electric model, make sure your air filter is clean, otherwise you run the risk of jammed-up grass in the undercarriage. Speaking of which, it’s a good idea to clean the underside of your mower periodically (detaching the starting mechanism or spark plugs first, of course). The blades should also be sharpened once a year, and while ambitious owners can do it themselves, it’s a typical service that a machine shop can do for you.